New Jersey-based Provident Bank has chosen NCR Corporation’s Digital Banking platform to improve customer experience, reports Jane Connolly. The bank aims to achieve better capabilities, easy integration with core banking systems and a more intuitive design. 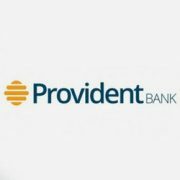 John Kamin, executive vice president and chief information officer of Provident Bank, describes the bank’s digital solutions as “critically important”. NCR Digital Banking’s platform reportedly powers five of the top ten mobile banking applications in the US.